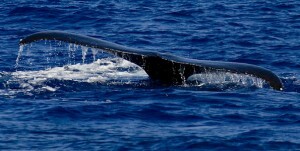 NOAA’s Hawaiian Islands Humpback Whale National Marine Sanctuary will offer the public free shoreline whale watches at the Pu‘ukoholā Heiau National Historic Site Visitor’s Center each Friday, starting December 16, from 9 – 11 a.m. Just beyond the park’s shores lies the warm, inviting waters of the Hawaiian Islands Humpback Whale National Marine Sanctuary. Every year from December to April, humpback whales gather in these waters to give birth, breed, and otherwise escape the cold arctic winter. 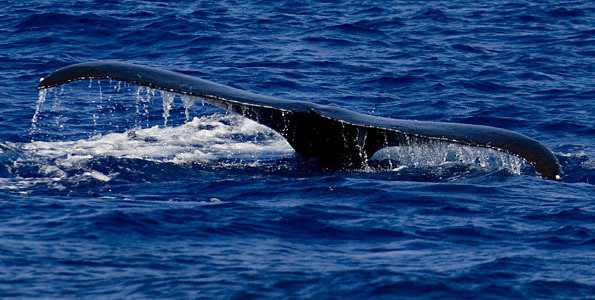 During the peak of the whale season, don’t miss one of the best shows on earth narrated by Hawaiian Islands Humpback Whale National Marine Sanctuary staff and volunteers who are well-versed in whale facts and legends. To kick things off this Wednesday, December 14, Justin Viezbicke, Hawai‘i Island Programs Coordinator for the Hawaiian Islands Humpback Whale National Marine Sanctuary will follow this with a special “45-ton talk” on humpback whales at 11 a.m. He has been actively working with the sanctuary’s entanglement response and research teams for several years and has a “ton” of knowledge to share! The sanctuary works to protect humpback whales through research, education, conservation and stewardship. The sanctuary is administered by a partnership of NOAA’s National Marine Sanctuary Program and the state Department of Land and Natural Resources.